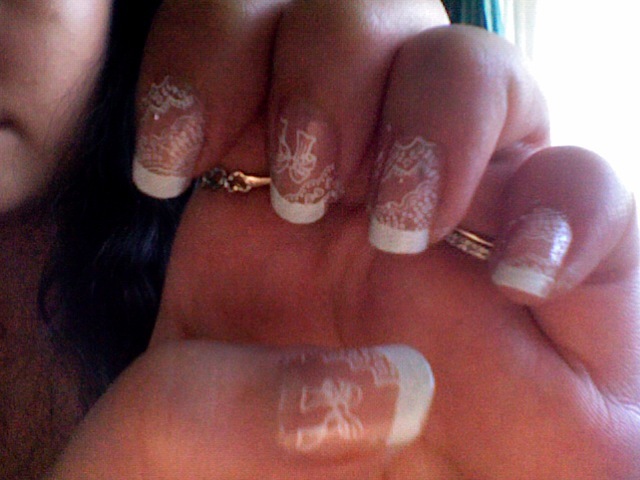 I was initially planning to do a french manicure on my nails, but by some weird thought, I thought of adding ribbons and lace and what have you. 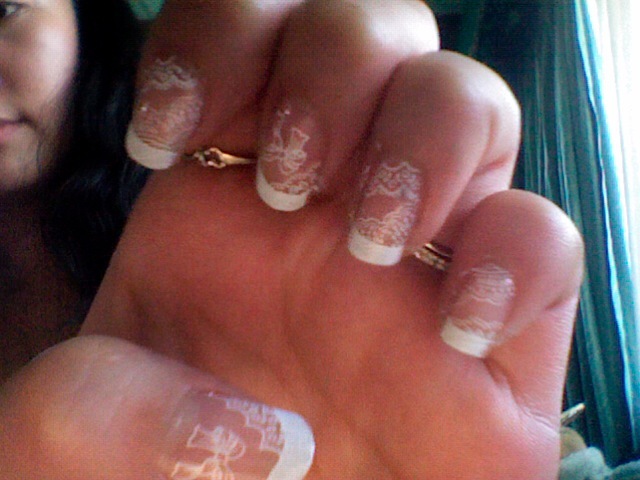 I used my Sephora nail polish as the sheer base, then used my Konad stamps for the stamp art. The top coat is also Sephora's. 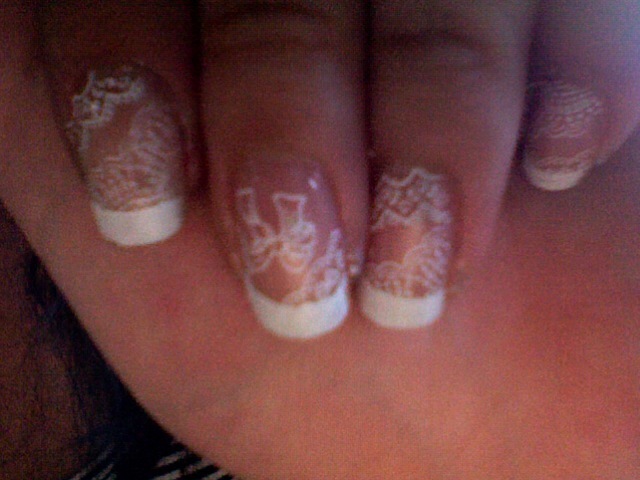 And this is the tacky result. Forgive my tackyness and have a good day. Ha ha.